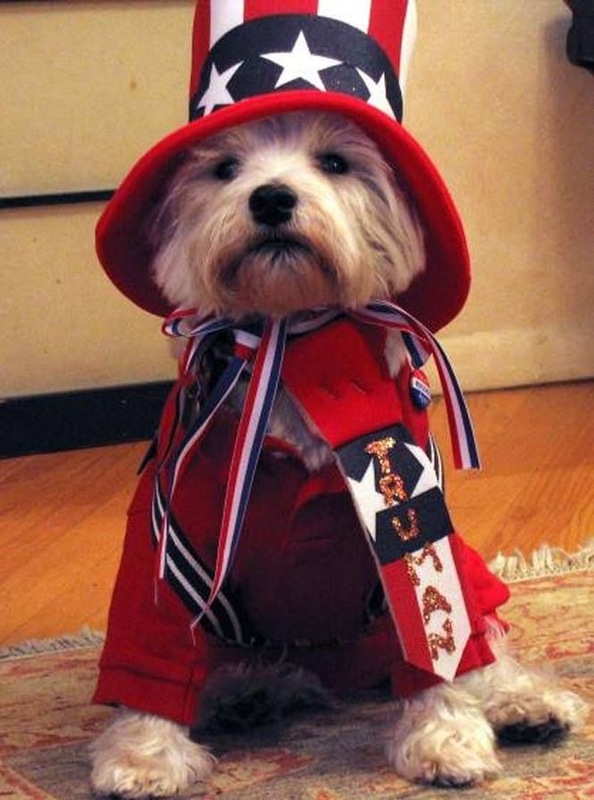 Tips To Keep Our Pets Safe For the 4th of July | Scoop The Poop! Who is excited about The 4th of July ?! . 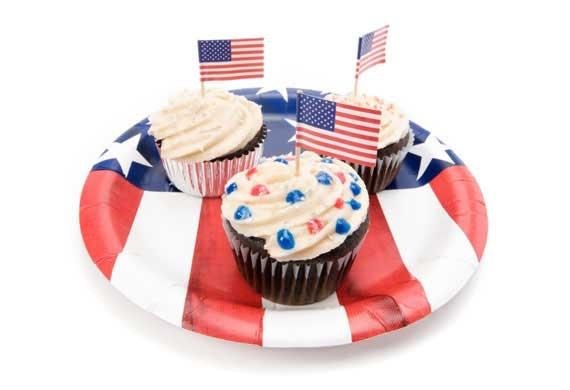 It means cook-outs, picnics, and all around revelry as we celebrate our nation’s independence. And if it falls close the weekend, the parties can go on for days. We are all for including our pets in the family activities, but there are safeguards that must be taken to ensure their safety. After all, we don’t want the holiday to be spoiled by disaster. Some of the most typical disasters to occur during the holidays are related to foods. Plan your backyard (or indoor) holiday party while keeping in mind that pets are wily little things that will scarf down as much as food as they can before they are caught. Here are some of the most hazardous foods to keep out of reach. Throwing leftover bones to the dog may seem natural. Dogs love bones, right? 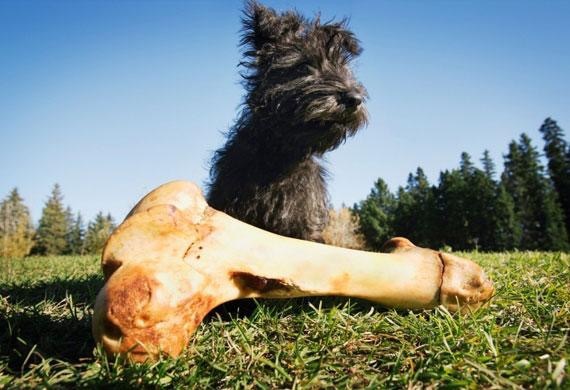 However, bones can be very dangerous for pets. They might choke on them, or suffer a grave injury if the bone should splinter and become lodged in, or even puncture the digestive tract. Have a pet-proof covered container ready for throwing bones into. 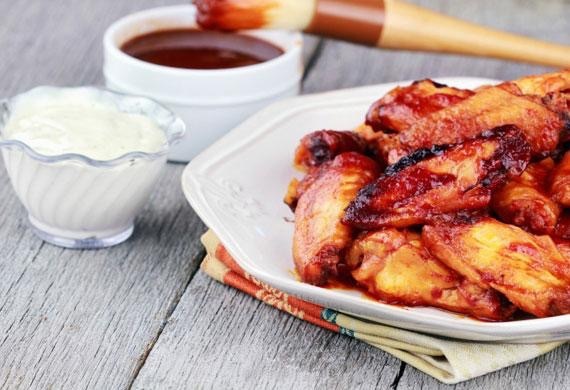 The Association for Pet Obesity Prevention (APOP) recently warned pet owners not to feed their pets chicken wings due to the risk of intestinal obstruction, or worse. Whether wing bones or other bones from chicken pieces, the bones are highly likely to splinter, and because of their small size they are easily swallowed with little or no chewing. 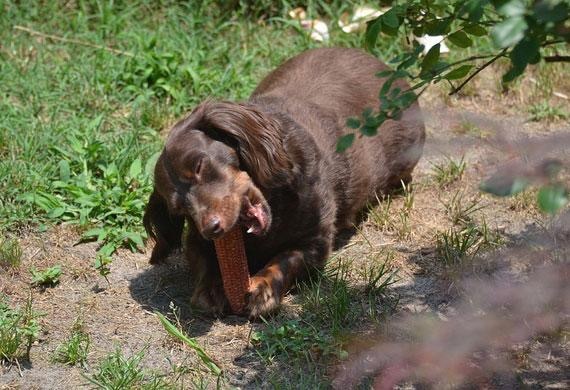 Hot dogs can actually be a great treat for pets, but only if they are cut up into bite size pieces and carefully fed one at a time to the pet. 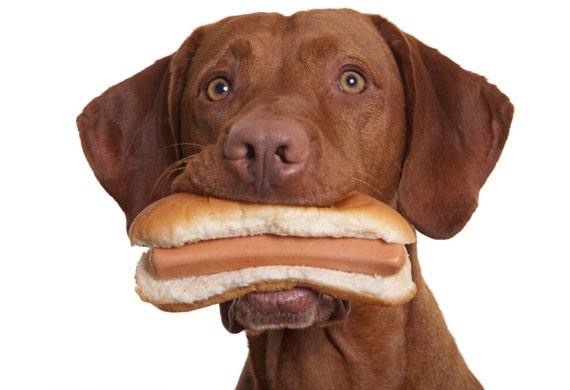 Dogs especially can get very excited and swallow a hot dog whole, without chewing. Also to keep in mind, hot dogs are a high fat, high calorie food. Ration them wisely to your pets and make it clear to guests not to share their “dogs” with the dogs. Corn on the cob is not directly poisonous, all by iteslf, but based on its shape and size it can easily form a painful and dangerous blockage within your dog’s intestines, requiring an expensive intestinal surgery to remove it. Another food that is not “toxic,” per se, fatty meats like hamburgers and steaks can result in severe pancreatitis (inflammation of the pancreas), which can result in vomiting, diarrhea, abdominal pain, and even organ failure. 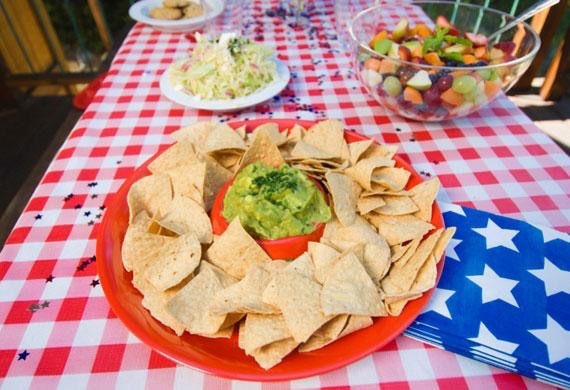 One of the more popular summer dips, guacamole, is also one of the most dangerous for pets. The three main ingredients are all dangerous in their own right: avocado, garlic and onion. Onions and garlic can cause gastrointestinal issues, elevated heart rate, and red blood cell damage. Avocado toxicity, while not considered as toxic to dogs and cats as to birds, can sometimes lead to vomiting, diarrhea, and lack of stool production. 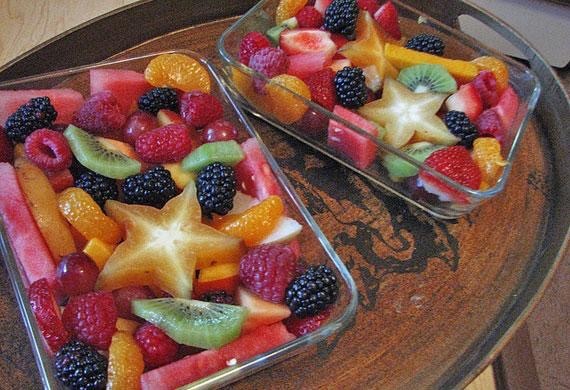 Most fruits are safe for pets. In fact, some frozen pieces of watermelon would be a welcome treat to a dog on a hot day. But there is one fruit that is common to nearly all fruit salads: grapes. Although the reason for grapes’ (and raisins) toxic effects on dogs is little understood, these fruits are well known for causing kidney failure. In pets who already have certain health problems, signs of grape poisoning may be more dramatic. 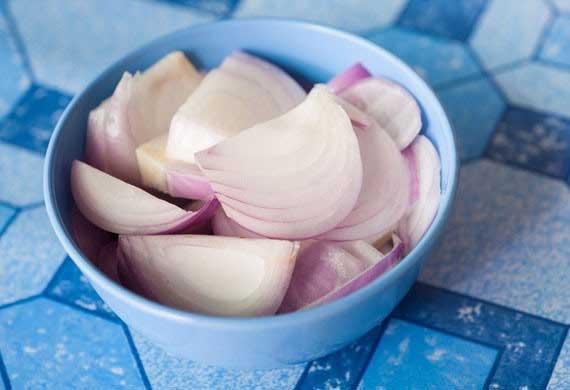 As previously mentioned, onions can be highly toxic for cats and dogs. We mention them again because it is common to find a bowl of chopped onions on the condiment table, on the ground as they fall out of hamburger and hotdog buns, and in most cold pasta and vegetable salads. 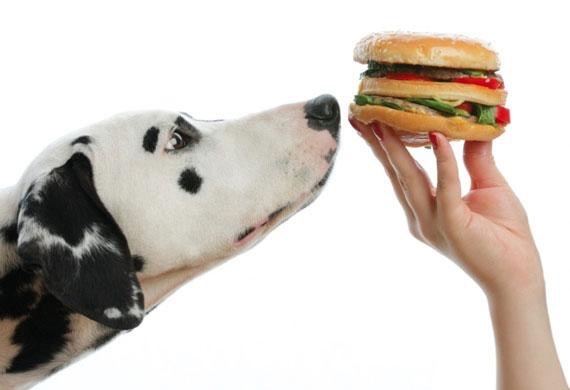 Although cats are more susceptible, dogs are also at risk if a large enough amount is consumed. Onions can cause gastrointestinal issues, elevated heart rate, and red blood cell damage. Even small amounts of onions are fatal to cats. Ice cream, cupcakes, cookies, brownies … no BBQ party is complete without dessert. And what is the most popular flavor? Chocolate, of course. Unfortunately, chocolate is also highly toxic to dogs, doubly so if it is “sugar-free”; that is, made with Xylitol. Both have fatal ingredients, so even small amounts should not be allowed. Theobromine, the compound in chocolate that has the toxic effect, is most concentrated in dark chocolate and baking chocolate, the kind found in brownies and chocolate chip cookies. Chocolate poisoning can cause heart arrhythmias, muscle tremors, and seizures. Xylitol, used with sugar free foods as a sugar replacement, can have immediate and irreversible consequences. Make sure that all of your guests know not to share their sweets, not matter how big those pleading puppy eyes get. 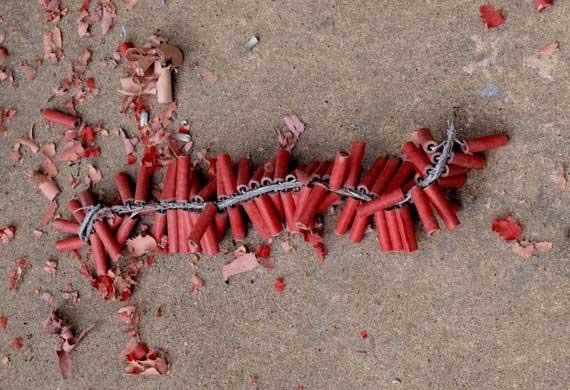 Finally, while not technically a food, we are very aware that dogs will chew on and swallow almost anything, so we would be remiss in our duties if we did not mention fireworks as an ingestion hazard. Fireworks contain hazardous chemicals like chlorates, potent oxidizing agents which are harmful to red blood cells and kidneys; soluble barium salts, which can cause a life-threatening drop in potassium; sulfur, which can convert to sulfate in the intestinal tract and act like an acid; and coloring agents, which can contain dangerous heavy metals. Keep the fireworks in pet proof containers or high up on shelves until use, and then clean them up thoroughly after they have been set off to avoid curious nibbles. Now go and celebrate the holiday, safely! Til Next Time…..
← It’s Still Not Too Late to Sign Up For 4th of July Pet Sitting W/ HWHD! !